Choosing a school for your child is a daunting task. Here at Claires Court we would love to meet you and help you discover more about our school and how we could be the right place for your son or daughter to learn, grow and flourish. 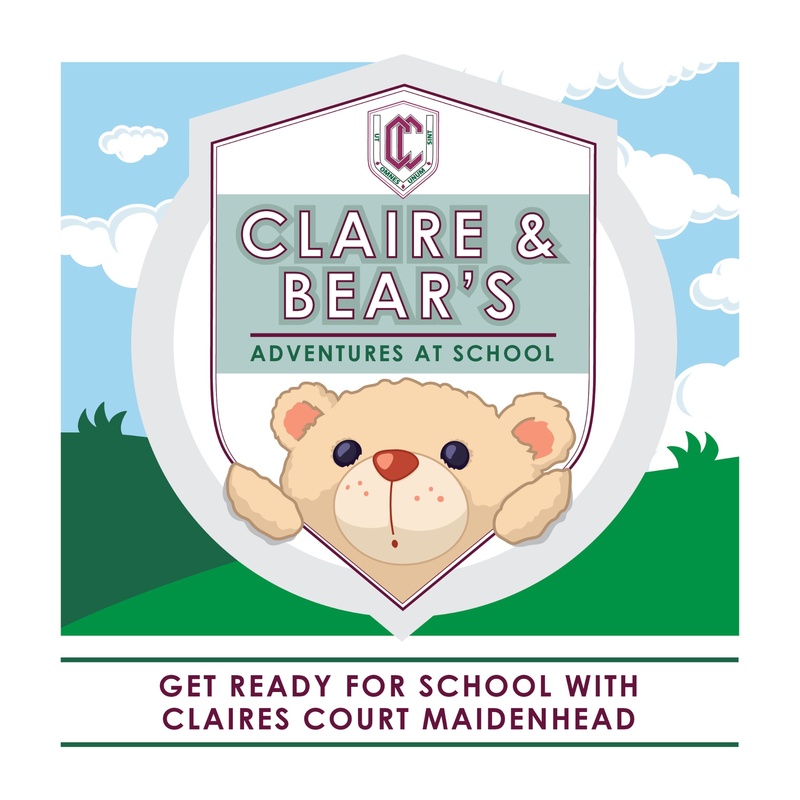 Our nurturing ethos means that before they even start school we want the best for your child and have a fantastic book share with you - the ‘Adventures of Claire and Bear’. This fun interactive book will help you and your child get school ready with lots of tips and activities plus video clips showing the pupils undertaking the tasks in the book. Here are a couple of pages from the book. To get *your printed copy join us at an Open Morning or make an appointment to meet the head. Lunchtime - using a knife and fork? Plus a further workbook with activities. All rights reserved. No part of this book or related videos may be reproduced or used in any manner without the express written permission of the publisher except for the use of brief quotations in a book review.